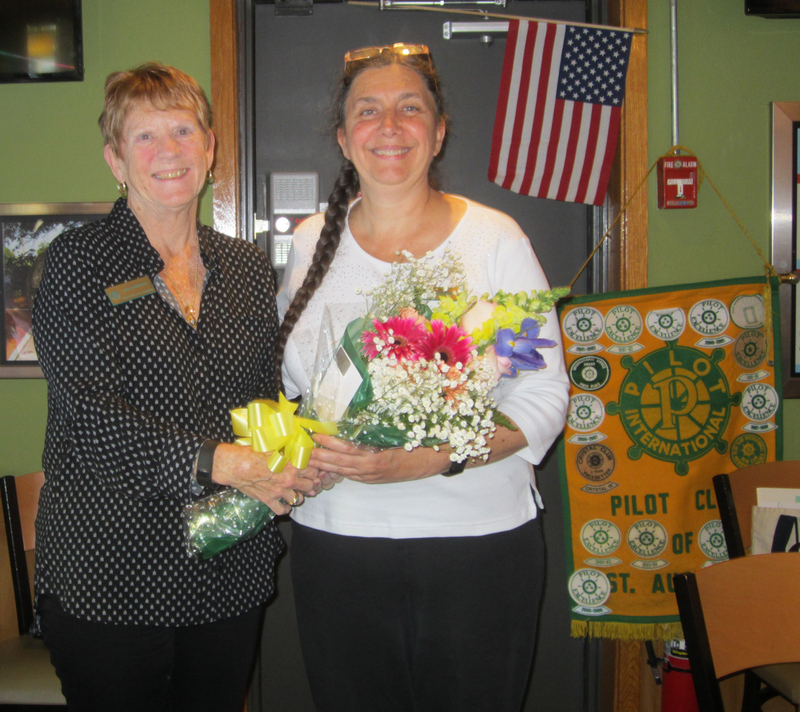 Leslie Coleman, right, receives a bouquet of flowers from Lynne Stephenson, president-elect, in honor of Coleman’s election to a Florida Pilot Club district post. Leslie Coleman, 2015-16 president of the Pilot Club of St. Augustine, was elected , north central lieutenant governor for the Florida District of Pilot, during the Florida District’s convention April 1-3 in Lake Mary. She will succeed Margaret Smith, Jacksonville. An 11-year member of the Pilot Club of St. Augustine, Coleman has also served as treasurer and president-elect of the local group. In recent years, other local members who have advanced in the district include Rene Naughton, who served as district governor; and Sara Hetherington, who served as north central lieutenant governor.